Join your fellow New Villagers for a casual evening of Southern Belgian cuisine, wine, beer, and conversation. 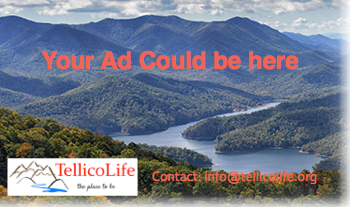 This will be a fun way to meet other New Villagers and learn about Tellico Village while cultivating new relationships. Beer On-Tap • Palm, Grimbergen, Stella Artois, Blue Moon, Shiner Bock • Bottled Beer is also available but not at half-price during Happy Hour House Wine • Chardonnay, Pinot Noir, Cabernet-Sauvignon B.Y.O.W. (Bring Your Own Wine) - No corkage fee! Dinner – Pre-Order Your Selections - Due to the small, quaint size of the restaurant, you must make your menu selections in advance. For questions about the menu, contact the restaurant directly. When registering online for this event, an email will be sent to you within 24 hours with the menu order form and instructions for submitting it. Please submit your selections to Jan Dougherty, per the instructions, no later than Tuesday, March 12th. Dinner – On the Night - On the night of the event, Le Noir will have the necessary items to serve you the dinner you pre-ordered with minimal delays, further enhancing your dining experience. You will pay the restaurant separately in full for your meal and beverage selections. On street parking is available and in the lot across from the restaurant on the corner of Broadway and Kingston.